SLAM HARD DEE-RHYME (Limelight Tunes) 84 03:26 131x Faved Buy! 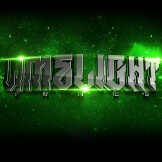 YOU KNOW DEE-RHYME (Limelight Tunes) 86 04:00 72x Faved Buy! Collab w/ Anno Domini Beats. REAL ESTATE DEE-RHYME (Limelight Tunes) 71 03:44 94x Faved Buy! 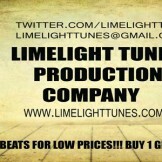 BOSS FLOW DEE-RHYME (Limelight Tunes) 89 02:52 50x Faved Buy! Theorie And Praxis DEE-RHYME (Limelight Tunes) 91 03:55 25x Faved Buy! Curve DEE-RHYME (Limelight Tunes) 140 03:21 26x Faved Buy! Do Not Wrong DEE-RHYME (Limelight Tunes) 88 04:05 17x Faved Buy! Pitbull DEE-RHYME (Limelight Tunes) 88 03:41 50x Faved Buy! Wanted DEE-RHYME (Limelight Tunes) 86 03:58 30x Faved Buy! Freestyler DEE-RHYME (Limelight Tunes) 85 03:09 77x Faved Buy!